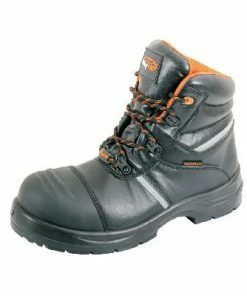 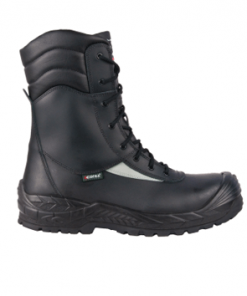 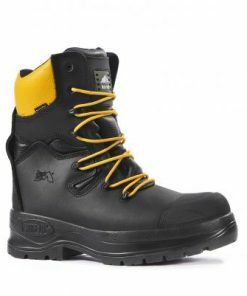 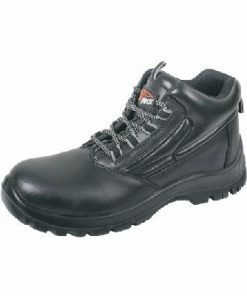 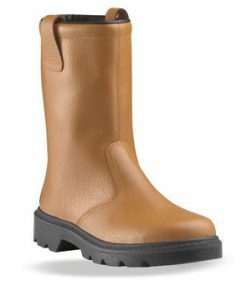 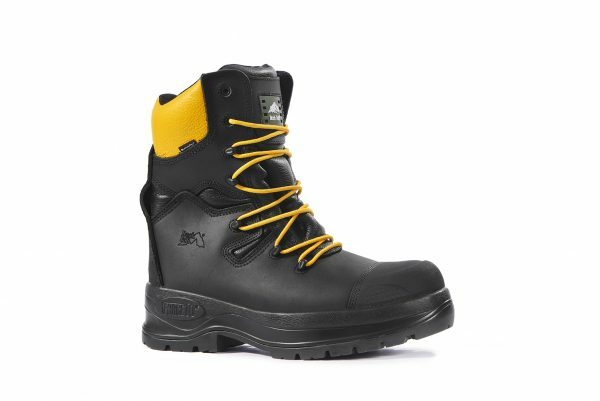 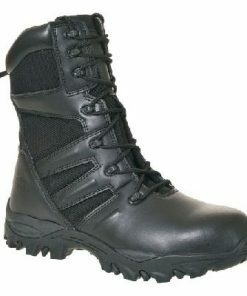 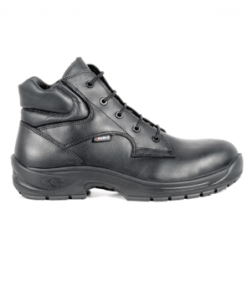 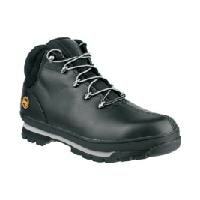 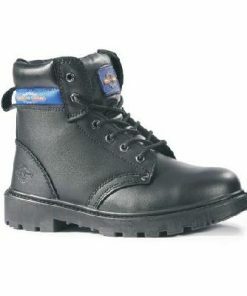 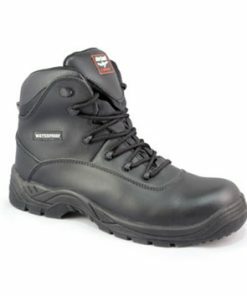 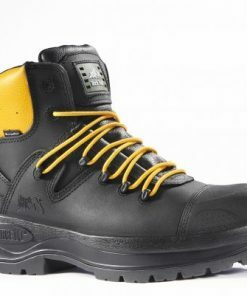 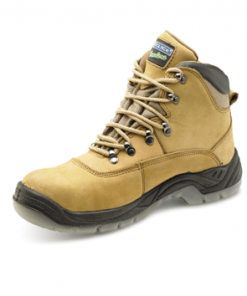 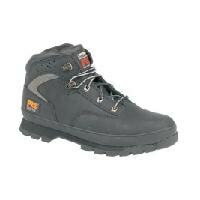 100% non-metallic, with protective toecap and midsole, PowerMax is an electrical hazard linesman boot developed with specialist durability materials that are certified to withstand electrical risks of 18kV in accordance with the ASTM F2412-11 test method, including FORCE10® components, Helcor® abrasion resistant leather, Moisture-tech by Sympatex® waterproof membrane, IMPACT SHIELD™, R-TEN™ thread and Ortholite® climate breathable footbed. 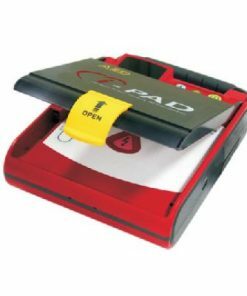 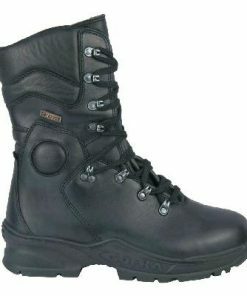 The sole and upper are also compatible with most common climbing irons. 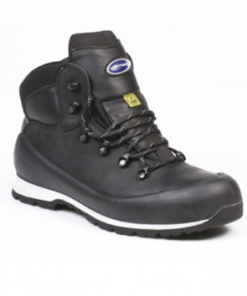 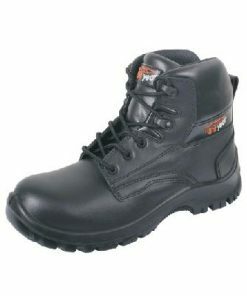 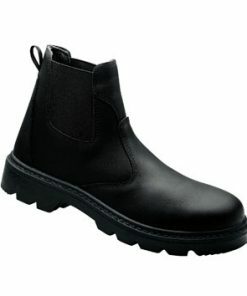 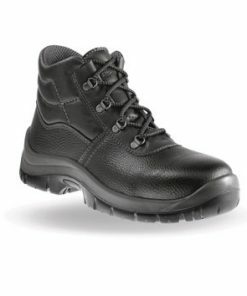 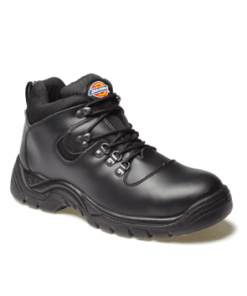 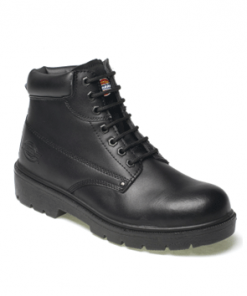 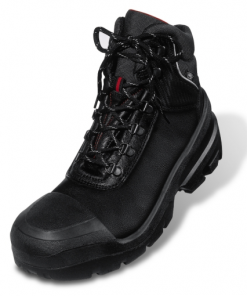 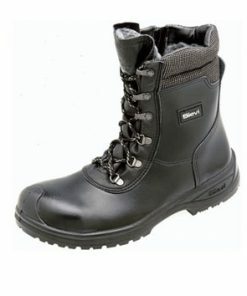 Water repellent full grain black Helcor® abrasion resistant leather stitched with R-TEN® abrasion resistant thread. 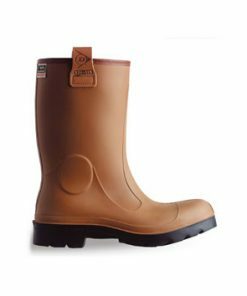 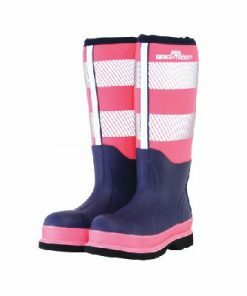 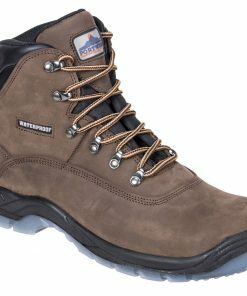 Moisture-tech by Sympatex® waterproof and breathable bootie membrane-tested for 100 hours (74 times longer than EN requirement). 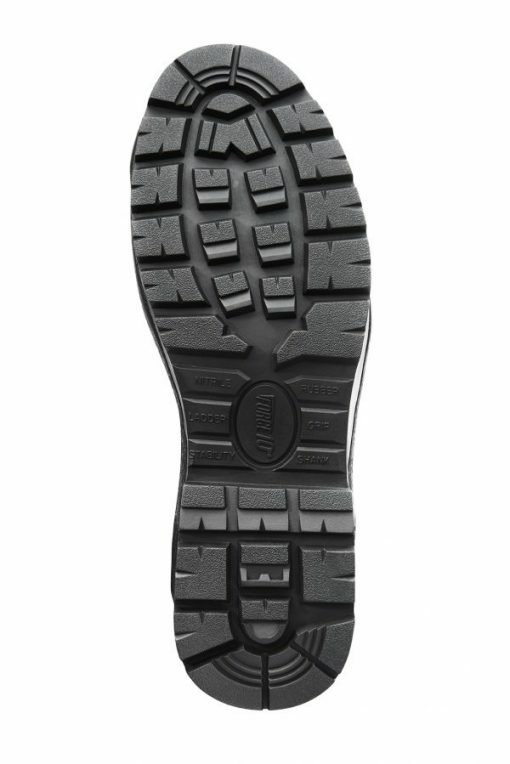 FORCE10® scuff cap and dual density PU nitrile rubber outsole-tested to extraordinary abrasion, heat and cold performance levels. 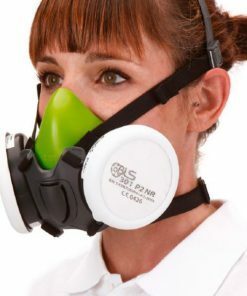 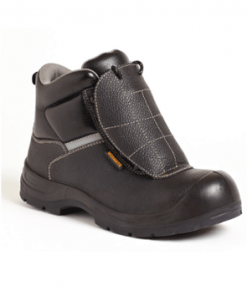 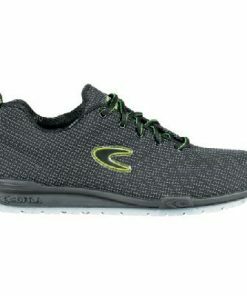 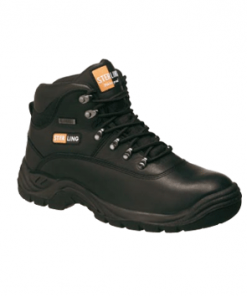 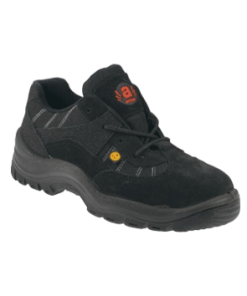 Ortholite® climate breathable footbed with IMPACT SHIELD™ shock reducing internal digging plate.